Blue is the perfect color on a Thanksgiving outfit! 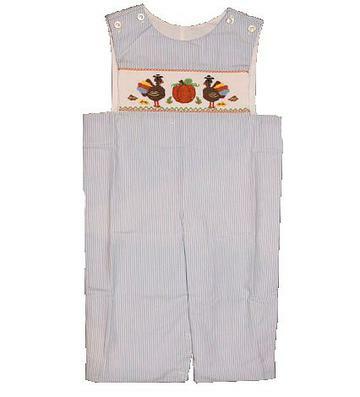 The light blue and white stripe longall is adorable with two turkeys and a pumpkin handsmocked on the chest. 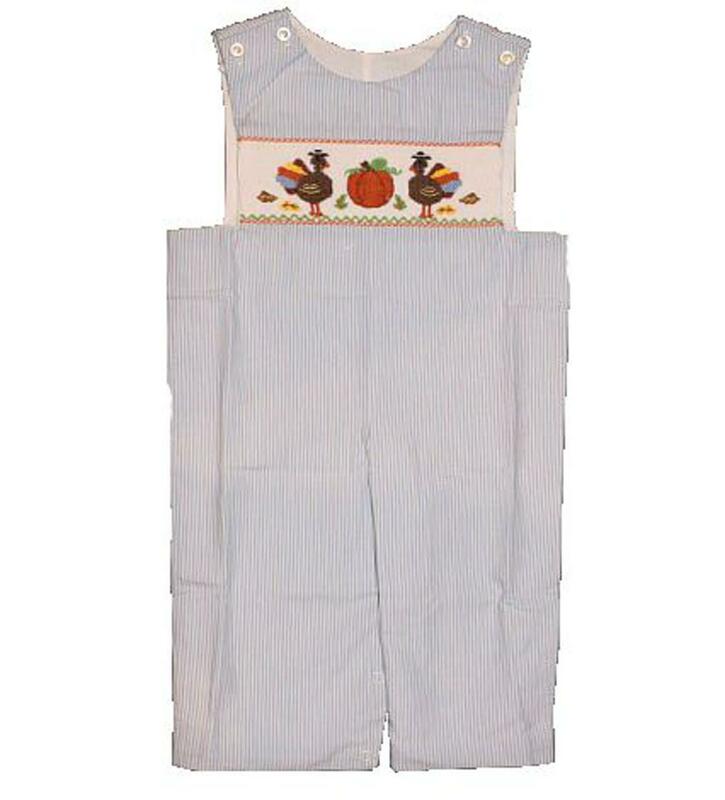 There is a orange and white mini check piping along the smocking. There is two buttons on each shoulder to get on/off easily and snaps on the inside of the legs to accomodate diaper changes. This adorable outfit is 65% polyester and 35% cotton and would pair perfectly with a white turtleneck.